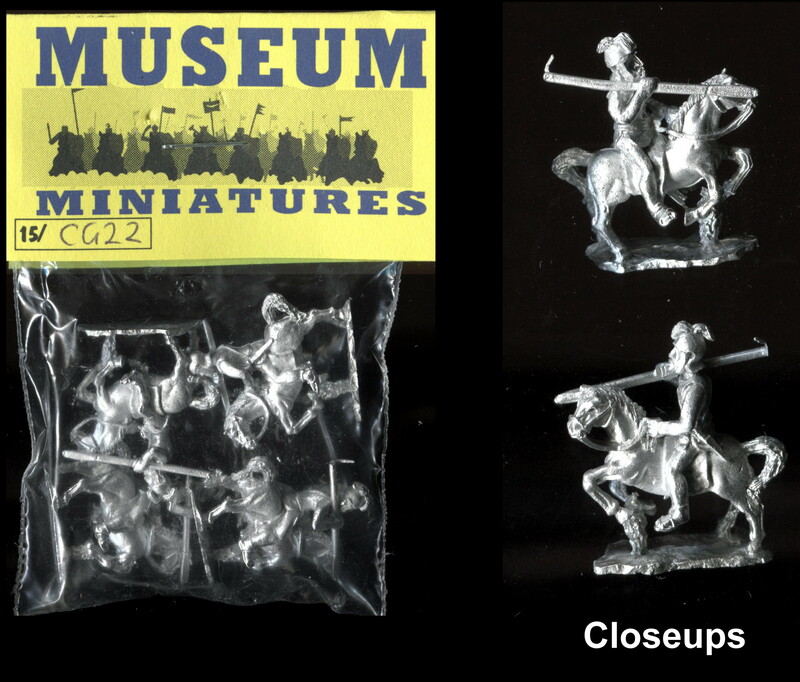 HOT36 Mounted Wraiths – three identical figures mounted on identical unarmoured horses. I think that these figures were designed to represent the Dark Riders from the first book of Tolkien’s trilogy The Lord of the Rings. The horses are 17mm tall at the shoulder and approximately 30mm nose to tail. The rider wears long robes and wears a crown, but appears to lack facial features, he wields a spiked mace in his right hand. If you buy more than one item from our shop please wait for us to contact you regarding postage charges before paying.